Many times, a smoothie hits the spot, especially on a hot day. Although I am not a big fan of this typical American concoction, I love avocado smoothies. I encountered them for the first time in Bali. This island produces amazing fruits and vegetables. There is something about Bali which is difficult to describe. It is not only the amazing sense for beauty which the inhabitants display everywhere. There is something intangible in the air, Bali’s own kind of magic. 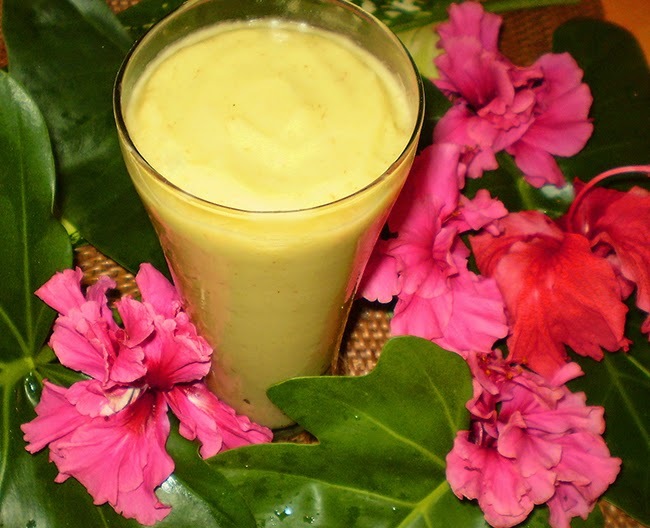 In Bali I have eaten the tastiest papayas of my life and I encountered avocado smoothies. In Bali it is called avocado juice. This name is somewhat misleading because they blend the avocado with full fat milk resulting in a thick cream which you can eat with a spoon. Being allergic to dairy I have blended avocado with coconut and almond milk which works just as well. Of course it tastes different but it makes wonderful smoothies all the same. Of course you can prepare smoothies with just about any fruit or vegetable you fancy. Don’t hesitate to experiment. A smoothie in company with some crackers or cookies is the perfect quick snack whenever hunger pangs hit home. 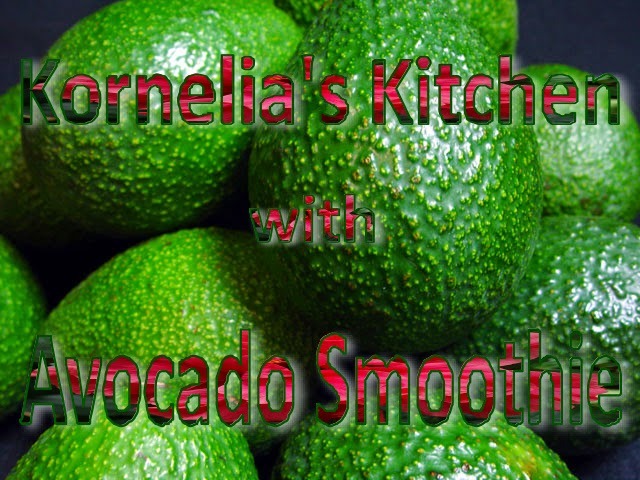 Remember that you need really ripe avocados for this recipe. When you find promising avocados in the market which are not yet soft, ripen them at home. Wrap them in paper and keep them out of direct sunlight. Check them daily as they spoil quickly once they are ready. Half the avocado; take out the stone and scoop out the flesh. Place the flesh with the sugar and the milk substitute into the blender and blend until you have a smooth cream. Fill into a glass and enjoy.